Note from Tom: "Apply early to avoid disappointment as locations will be closed once sufficient applications have been received!" Job seekers are encouraged to apply early as Network Rail's popular and award-winning Advanced Apprenticeship scheme opens for applications. 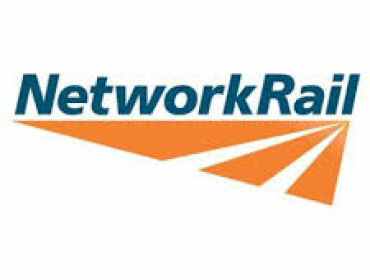 Network Rail is looking to recruit 150 apprentices nationwide as it continues to deliver its £38bn Railway Upgrade Plan. Last year, it received more than 3,500 applications for the scheme. Apprentices will be part of the 20,000-strong orange army of front line engineers and technicians who fix and maintain the rail infrastructure, enabling 1.6 billion journeys every year. The three-year Advanced Apprenticeship scheme offers young people over the age of 18, a chance to earn while they learn. Whilst gaining valuable work experience, transferable skills and recognised qualifications along the way. The scheme was launched earlier this year, as the Government announced its commitment to 30,000 apprenticeships across the transport sector over the course of this parliament as part of its Transport Skills strategy. Katie Tingle completed Network Rail's apprenticeship scheme in 2012. Katie and her team are responsible for running the newest Mobile Maintenance Train (MMT) or "workshop on wheels", which is revolutionising the way in which track maintenance is carried out, out of Derby. The MMT's key feature is that it allows workers to operate within an enclosed environment protecting them from the elements and other trains and allowing engineering work to take place without having to close the whole line. "Joining the Network Rail apprenticeship scheme was one of the best things I've ever done. Not only did I get paid to learn, I now have a career that I love. I've been given so many opportunities, and bringing this new, ground breaking piece of machinery to my home town depot is one of the highlights. An apprenticeship can give you a lot of extra life skills as well as just the specific expertise you set out to learn, for example I've learned how to budget and manage teams. You?ll gain knowledge you'll be able to use wherever you end up. I would advise anyone who wants a rewarding career, and the skills and qualifications you need to get on, to sign up. You won't regret it." More than 2,000 people have joined Network Rail's Advanced Apprenticeship scheme since 2005. These include school and college leavers as well as those that were unhappy with their jobs, and chose to go back and into training to secure a more stable, long-term career. The majority of those coming through the apprentice scheme also progress their career with Network Rail, with 85% of those who started on the 2005 Apprenticeship Scheme still working for the organisation. The Network Rail Advanced Apprenticeship scheme is open to anyone who is 18 before 1st October 2016. Further details on the scheme, including cases studies of current and former apprentices talking about their own experiences, head over to their website.